Moody’s is a company that creates credit ratings, analysis, research, and tools which help to make markets easier to understand and more transparent for investors and clients around the world. Moody’s Corporation acts as parent company to the two divisions of Moody’s Investors Service and Moody’s Analytics. The Investors Service offers research and credit ratings on securities and debt instruments for a large range of companies, cities, municipalities, nations, and supra national organizations. The Analytics division provides customers with cutting edged advisory services, software, and research for economic and credit analysis and managing financial risk. In 2015 the company itself boasted a staff of nearly 11,000 individuals with offices in 36 countries that generated $3.5 billion in revenues. The company is best known for its famous system for rating securities that they originated over 100 years ago. John Moody created this method for securities ratings back in 1909. The idea behind such ratings is to offer investors an easy to understand grading system that they can use to gauge securities’ creditworthiness in the future. Moody’s Investors Services grades credit using ratings symbols. Every symbol was deigned to categorize a group where all of the elements of the credit worthiness are generally similar to one another. The company limits the system to nine different symbols. The ones with lowest credit risk start with A and gradually decrease to C to show the securities with the highest credit risk. These ratings grades are Aaa (highest possible), Aa, A, Baa, Ba, B, Caa, Ca, and C (lowest possible). Besides these the Investor’s Service also adds the numbers 1, 2, or 3 to all of the classifications of ratings from Aa through Caa. Sometimes there are no ratings given out to a company. Other times the company has ratings that have since been withdrawn. This does not mean that the issue has problems with its credit worthiness. It could be that the company placed the issue privately. 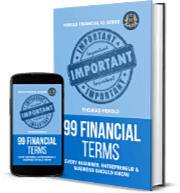 There may not be enough important information available on the issuing company or their actual issue. Other times the issuing company or its particular issues are part of a group that the company simply does not rate. Finally, applications for ratings may not have been turned in to the Investor’s Service or may not have been approved for one reason or another. Ratings can also be withdrawn. It might be that the Investor’s Service can no longer perform adequate analysis to update a rating. The data could be out of date so that proper judgments may not be formulated. When bonds are redeemed or called in, ratings are also withdrawn. Moody’s Investor’s Service also changes the ratings it issues on securities, companies, and governments. This is because for the majority of issuers the quality of their credit improves or deteriorates naturally over time. This is why the service is interested in updating the ratings to properly reflect any changes in the strength of the issuing entities and their various obligations. With individual issues, these ratings changes can happen at any time. When Moody’s discerns that there has been a significant change in the quality of credit or that the earlier rating did not accurately reflect the actual quality of the issue, then they may intervene with a new rating. Bonds with lower ratings tend to receive more frequent changes than would bonds that possess superior ratings. Holders of any quality of bonds are encouraged to check the ratings consistently to make sure that their credit rating has not changed. Moody’s also rates sovereign countries, cities, counties, municipalities, and supranational organizations for their debt. 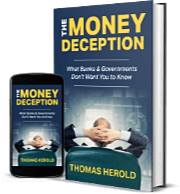 Very few countries anymore qualify for the coveted Aaa rating since the financial crisis of 2008 and Great Recession destabilized the finances and debt positions of even some of the most dependable developed country economies in the world. 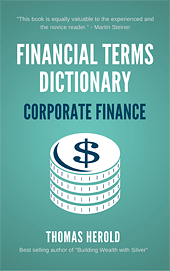 The term 'Moody’s' is included in the Corporate Finance edition of the Financial Dictionary. You can get your copy on amazon in Kindle or Paperback version. See more details here.